In efforts to secure protection for their threedimensional and colour trademarks, are trademark counsel pushing the boundaries of trademark protection? The fracture between the Government Advisory Committee (GAC) and trademark owners over geographic terms was apparent during ICANN’s Durban meeting in July. In Specsavers International Healthcare v Asda Stores Ltd (Case C-252/12), the European Court of Justice (ECJ) has held that colour is relevant to the global assessment of the likelihood of confusion and unfair advantage. The UK Intellectual Property Office (IPO) has rejected Société des Produits Nestlé SA’s application for the registration of a three-dimensional (3D) shape mark representing its Kit Kat chocolate wafer product, except in relation to cakes and pastries (Case O-237-13). In New Yorker SHK Jeans v Office for Harmonisation in the Internal Market (OHIM) (Case C-621/11 P), the European Court of Justice (ECJ) has held that OHIM was entitled to take into account additional evidence of use filed by the opponent after the original deadline for filing proof of use had expired. Following the release of a study that considers the risk of collision between applied-for new generic top-level domain (gTLD) strings and non-delegated TLDs, the Internet Corporation for Assigned Names and Numbers (ICANN) has proposed a series of mitigation measures. The proposed third amendments to China’s Trademark Law have undergone a second reading during the third session of the 12th National People’s Congress Standing Committee. Although the draft amendments were not made available to the public, details were posted on the National People’s Congress website. Group buying sites are soaring in popularity, but what liabilities do such sites bear if the products on sale infringe trademark rights? It seems that everyone is talking about trademarks in China. 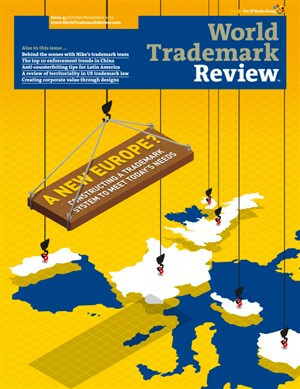 Far and away the most common question continues to be: is it really possible to enforce trademarks in China?